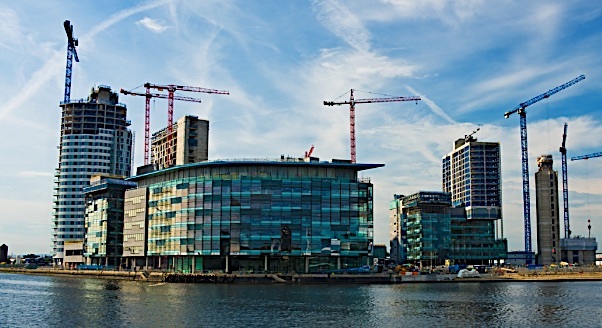 An expert panel chaired by Cambridge public policy professor Diane Coyle has unveiled the results of an independent prosperity review on the current state and future of Greater Manchester’s economy. The report produced by the independent panel, which includes head of Bloomberg Economics, Stephanie Flanders, highlights Greater Manchester’s strengths in health innovation and world-leading advanced materials such as Graphene. It also emphasises the city-region’s strengths in manufacturing, digital and creative industries, and professional services. Alongside the positive findings, however, the review report stresses that there are clear challenges for the city-region’s leaders. It concludes that more needs to be done to reduce social inequality, drive up wage growth, and boost productivity – particularly in sectors such as retail and social care where there is often high employment but low pay and low productivity. Mayor of Greater Manchester Andy Burnham said: “This review sets out just what we need to do to propel Greater Manchester’s economy forward and deliver prosperity to all who live and work here. “We are now working with the government to develop an ambitious Local Industrial Strategy which will respond to many of these issues and allow us to provide that extra strength to the UK’s economy. Greater Manchester’s lead for Economy, Richard Leese, said: “We’ve got some world-class strengths that we absolutely must play to when developing our Local Industrial Strategy, but we must also recognise that over decades we have seen a rise in lower productivity sectors and lower skilled jobs. “Through the growth of e-commerce, online shopping, and home deliveries, the retail sector – a major employer for Greater Manchester – will quickly find itself at the forefront of technology and innovation. The panel’s chair, Prof. Diane Coyle, of the Bennett Institute for Public Policy, University of Cambridge, said: “The centralisation of policy-making in Whitehall has contributed to weaknesses in the UK’s economic performance. Fellow review panellist, Senior Executive Editor for Economics & Head of Bloomberg Economics, Stephanie Flanders, said: “Whitehall and Westminster may be preoccupied with Brexit, but with this report Greater Manchester is getting on with the challenge of building a more inclusive and dynamic local economy. “Greater Manchester is not the only city in the UK to suffer from low productivity and poor skills, but its leadership has been consistently ahead of the curve in forensically analysing the economic and social roots of these problems in the context of the broader local economy. “With the INER and now this follow-up review I think Greater Manchester has once again demonstrated the value of more place-oriented policy-making, especially in areas such as skills.